A. If you’re thinking about applying to graduate school (whether that be in the current year or next year), the time for researching schools is yesterday. Start NOW if you haven’t already. The easiest means of beginning such research is probably twofold: (1) schedule a meeting to discuss your interest in graduate school with some philosophy professor, and (2) begin looking around the internet at places such as The Philosophical Gourmet report on Philosophy Graduate Programs (www.philosophicalgourmet.com). C. Choose schools based primarily upon their strengths relative to your interests. For instance, you might think it preferable to spend your off-days lounging on a beach somewhere in Santa Barbara, California – in which case, you may decide to apply to UCSB. This would be a good idea, assuming that your primary interests appropriately map onto those of the department. That is, if you have interests in Ethics, Philosophy of Language, or Philosophy of Mind (particular strengths of UCSB), this may in fact be the place for you. If, however, you wish to concentrate in Ancient Philosophy or Continental Theory, this should not be among the schools to which you send out applications. One factor in determining the appropriate program to attend is their ability to place their graduate students, i.e., their ability to aid their students in finding gainful employment! Most programs list their job-placement information on their website – be sure to pay attention to this! Yet another factor that you may want to keep in mind: some schools focus more so than others on training students to be excellent teachers of philosophy, while other schools more so on training students to be excellent researchers in the field. Don’t get me wrong: it’s not always an either/or affair. However, it may be pertinent to be aware that, for instance, if you want to get experience teaching while you’re in graduate school, then certain schools may be a better fit for you than others. D. When you are considering an offer from given Ph.D. program, you should determine whether expectations for incoming M.A. students are different from those for incoming B.A. students. For example, are admitted students who already have an M.A. put on an accelerated schedule? Do they receive credit for the courses they took as a Masters student? Taking additional classes at the doctoral level is not necessarily a bad idea, but accepting to undertake two or even three more years of course work is a decision that should be made with care. E. Particular strengths of departments are (for better or worse) measured by the Philosophical Gourmet Report catalogued by Brian Leiter (www.philosophicalgourmet.com), often referred to as the Leiter Report. Leiter lists not only the top 50 programs in the United States, but also lists the programs most strong in a given area. For instance, in the 2006 report under the heading “Medieval Philosophy”, the rankings (in no particular order) include UCLA, Cornell, Purdue, Stanford, Georgetown, Indiana, and Notre Dame (among others). Keep in mind that there are good schools that do not make the Leiter Report, so the latter should not be your only resource for determining a school. It may even turn out to be dangerous applying only to Leiter-ranked schools. Why? Because these schools are highly competitive, and you are not guaranteed to get accepted into any of them. Always choose two or three “back-up” schools, i.e., schools that are either lowly ranked or not ranked at all. F.Talk to your professors about your interests, and ask their help in choosing the right schools to which you should apply. G. Warning: The process of admissions into graduate school is not guaranteed to be entirely rational. In fact, admissions can be quite arbitrary. For instance, Ted Poston eloquently points out the following possible state of affairs: “…grad admission committees are driven by lots of different interests and factors. Professor X might have a grudge against Professor Y and X is on the committee this year. A very promising candidate C applies and says he loves Y’s philosophical work and wants to work with Y. Since X hates Y that’s sufficient grounds for rejection. Remember that the selection process is not guaranteed to be rational. To guard yourself against this as best you can, apply to multiple schools.” Good advice, say I.
H. Money. Money. Money. Most schools charge application fees. And, unfortunately, such fees are normally exorbitant (e.g., when I applied in 2003 Yale University required an $80 application fee – upon receiving my rejection letter from them, I sheepishly noted that I should have simply donated $80 to the school, in which case I would have at least received a positive letter in response!). Be prepared for this. Important Note: all things being equal, it is best to apply to as many schools as you can reasonably afford. While expensive in the short term, keep in mind that, should you be admitted into a program with some form of financial assistance, the payment of application fees is money well-spent. It is wise to apply to schools that offer assistantships and/or fellowships to graduate students. Graduate school (especially out-of-state) can be very expensive, and assistantships/fellowships normally come with a waiver of tuition. Keep this in mind. For the most part, graduate students in a Ph.D program are given more of a stipend than M.A. students. Be sure to factor into your decision the cost-of-living in a given area relative to the stipend provided by the department. For instance, $15,000 in Lafayette, IN (Purdue University) is enough to pay your bills and to generally get by. The same figure in San Francisco, CA (e.g., Stanford University) may not be enough to pay rent, much less live sufficiently. A. Some application forms must be mailed to you by the university department to which you would like to apply. Many application forms, however, can be found online at the department’s website. You can download them and fill them out, or print them and fill them out. Nowadays, (more and more) programs are beginning to require that you fill out and submit applications electronically. But, this varies. Be prepared to send a few of your application forms by snail-mail. There is no uniform application. In fact, every school has a different set of forms. Be prepared to spend as much as an entire day filling out the application forms for one school alone. B. Be aware that, oftentimes, there are application forms for the department and subsequent application forms for the graduate school. Sometimes these are to be sent to the same place; oftentimes, not. Pay attention and read the instructions carefully. B. It is not cheap to take the exam, so be prepared to pay whenever you schedule it. C. Upon taking the exam, you will be allowed to send your scores to certain institutions for free. Preferably, you will know which schools to which you’ll be applying (but this is rare). After having taken the exam, you can request that the GRE company send your scores to the schools of your choosing (but keep in mind that this, too, costs money). Do not have the GRE company send the scores to you, thinking that you can just send them to the institutions on your own. Most institutions want the scores mailed to them directly from the company itself. Schools in the higher rankings normally use the GRE score as a “weeding out” device (since they get so many applications). Fortunately, most of these schools post the average GRE scores of their graduate students (or, at least, a range of such scores). If your scores are considerably lower, then you may want to reconsider your decision to apply to such a place. Again, just my intuitions on the matter. But see “Note Three” immediately below. (*) Note One: You can only take the test once per month and only five times per calendar year. Furthermore, all of your scores – from each time that you take the test – are reported to search committees (i.e., they don’t just send your best score, but your score from each time that you have taken the test). Note Two: While some schools may look only at your most recent scores, some admissions committees will actually average your scores if you take the test multiple times. In any case, it is in your best interest to take the exam very seriously the first time that you go in to be examined. Note Three: High GRE scores can definitely help, but low scores do not automatically bar you from getting accepted to a program. One can have low scores, but they need to be buttressed by a strong writing sample, strong letters of recommendation, etc. A.Normally, three letters of recommendation are required (though some schools require more, others less). It is best if these letters all come from philosophers. Next best scenario: two letters from philosophers, and one letter from some other academic well-qualified to attest to your academic training, acumen, reading & writing ability, etc. B. It is crucial that you choose your letter-writers according to your interests. Since we’ve such a small department here, this may not be as pertinent as it would be elsewhere. In any case, it would look odd to an admissions committee if you wished to concentrate in Epistemology and yet not have a letter of recommendation from the resident epistemologist(s) on staff here. General point being: you should put some thought into who writes letters for you. It is your responsibility to request letters of recommendation, and to let your letter-writer know when the letter is to be completed/mailed, and where the letter is to go (i.e., the complete address of the institution). Certain programs also require the letter-writer to fill out a form to go along with said letter – it is, again, your responsibility to get said form to the letter-writer, and to let them know that it is to accompany their letter. Before writing a letter, a letter-writer may request certain pertinent information from you. Such information may include a list of your philosophy courses and grades, examples of your philosophical writing, your resumé, etc., so be prepared to help your letter-writer out with this information (and don’t be modest, as this is your future we’re talking about here!). For the most part, institutions specifically state that the letters must come directly from the professor, i.e., you cannot send it along with your other items. Sometimes, however, it is allowed for you to send the letters yourself, so long as the professor has sealed and signed the envelope containing the letter. D. Less often (though perhaps more commonplace today), letter-writers must log into a specific network and submit the letter of recommendation online. While this can be a pain-in-the-(blank), professors are often willing to perform this action on your behalf. But, keep in mind that the professor is doing you a favor, so please take the time to write the professor detailed instructions on how they are to go about this process. E.Important: You will be asked to sign a confidentiality agreement which basically states that you have waived your right to view the content of the letter written on your behalf by your professor(s). Of course, you may decline to sign said agreement. However, your declining to waive your right to view the letter may (and probably will) have a negative impact. E.g., the admissions committee may place less weight on the contents of the letter, given their knowledge that you viewed the letter before its having been sent. Admissions committees want to know that they are receiving an honest, forthright assessment from the professors writing on your behalf, and they may feel as though the honesty of the assessment has been compromised by your having declined to sign the confidentiality agreement. A. This is one of the more important components of your application. Basically, provide your best philosophical writing. Ideally, the writing sample would be 15-20 double-spaced pages. Some schools prohibit your sending a longer paper. My advice: send the best thing you’ve got, regardless of length (though I’d hedge my bets around 30 pages). Caveat: My advice to send the best thing you’ve got – regardless of length – is controversial. Some persons with whom I’ve discussed this topic insist that a paper should never be any longer than 16-17 pages. So, it may be best to simply talk to your professors about which paper you’d like to send, and the advantages/disadvantages of its current length. It may be that such a decision can be made only on a case-by-case, individual basis given the quality of the paper itself. Still, take note of the comments immediately following. Philosophers tend to place a premium on interesting arguments rather than one’s ability to (merely) summarize philosophical views. If you’ve a longer paper that errs on the side of the latter, it would be best to shorten it and to focus on the former. B. 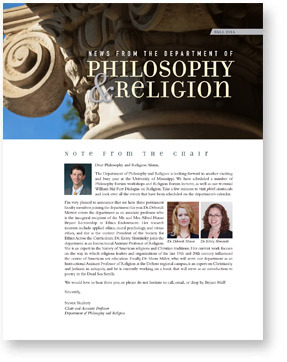 Ideally, you would send a writing sample that is somehow or other relevant to your philosophical interests; this, however, is neither required nor is it necessarily expected by those admissions officers reading your sample. Certainly, more important than the content is your ability to reason carefully, to philosophically analyze texts and concepts, and to write effectively and clearly. Importantly, the writing sample need not be a brilliantly amazing contribution of originality; it does, however, need to be a well worked-out and clearly articulated piece of philosophical writing. C.Have your professors read over the paper, checking for errors (mechanical, philosophical or otherwise). Most professors are happy enough to do this, so long as you ask nicely and give them ample time to do so. A. Virtually all schools require official transcripts sent directly by your own university. Whether or not such transcripts cost money depends upon your institution (I believe that USA charges $6.00 per copy). Again, these must be mailed directly to the department to which you are applying by the Office of the Registrar. Over-all grades are important, but perhaps more significant are your grades from within the discipline of philosophy. Course-choice is also something to keep in mind. For instance, if your area of interest is Ethics, then it looks good to have a few courses in value theory under your belt (especially upper division courses). One can never under-emphasize the importance of having a good, broad background in philosophy. For instance, some (emphasis: some) schools consider it a strike against a student if the student does not have a firm grounding in the history of philosophy. A. Oftentimes called your proposal. INCREDIBLY important component of your completed application (second only to your writing sample). Basically, this letter should be a formal letter, addressed to the chair of graduate admissions (or chair of the department itself). You therein introduce yourself (who you are, what school you attended, etc.) and explain why you wish to be accepted into their program. That is, you’ll want to let them know what your interests are, and how you see your interests playing into the interests of those in the department with whom you’d like to work. B. Don’t be afraid to NAME NAMES. For instance, suppose I want to study Medieval Thomism at Notre Dame University. I might then mention my familiarity with the research of certain scholars in residence there (say, Alfred Freddoso, Thomas Flint, Richard Cross), how my interests intersect with theirs, and how I see myself working with them in the future. C. IMPORTANT: Be very precise in your letter. Know exactly what you’d like to study (no more than two areas, though preferably one), and with whom you would like to study it. It lets the reader know that you are pretty sure that you know what you want to do, that you have some familiarity with this area, and that you have painstakingly chosen to apply to this school for a very good reason. So, be as specific with your interests as you possibly can. Don’t simply tell them that you want to study Early Modern philosophy: say who you want to study (e.g., Leibniz), and what area of this philosopher’s thought most intrigues you (e.g., Leibniz’s theories of modality and free will). D. Hopefully, you will be able to (honestly) emphasize in your letter of intent the fact that you have a firm grasp of the history of philosophy. If you do not, don’t despair (immediately); instead, emphasize those areas in which you do have a firm background. E. Have a professor read your letters of intent. AT THE VERY LEAST, have a professor read one of your letters. It would probably be better if you had a professor read every letter to each distinct school. But, be sure and have a professor read at least one letter, if for no other reason than to ensure that there are no un-intended nuances floating around in it that may incur a red flag from your prospective graduate school. A. NOW: Begin doing research into precisely where you might like to apply to graduate school. You may, of course, apply to as many programs as you like (though applying to more than ten or twelve schools will be not only time-consuming but expensive). Above I mentioned that the most important factor in choosing a school is the degree of fit between your interests and the interests of (certain faculty within) the department. You should feel free to send (polite!) emails to both the faculty and graduate students at schools in which you are interested. Ask them questions about their research, about the program itself, etc. Certainly, don’t be afraid to contact people at this point – or at any other point – in the process of applying. Your current professors are probably in a better position than you are to know which schools excel in particular areas. That is, we are a resource at your disposal – use us! Feel free to email us or to come by our office to talk about your interests and to ask our aid in finding graduate departments out there that may fit your needs. I can’t speak for everyone, but I’d be glad to help in any way that I can. Note: Your letter writers are probably those who would best be able to advise you on where to apply, given your interests. B. September/October: (1) Schedule and take the GRE. (In fact, I’d say that this is probably the latest that you’d want to schedule/take it, since you’ll want to have time to get your scores sent to the relevant schools. I almost included this in the NOW section above.) (2) Determine who you would like to write your letters of recommendation, and ask said writers if they would be willing to write you a good letter. (3) Be thinking about your writing sample. C.October/November: (1) By now you should know where you’re applying. Start rounding up those applications (either online or by contacting the departments to send you hard-copies), and get to work on them. Again, this is a very time-consuming process, so you’ll want to begin working on them ASAP. (2) Know what paper you will use for your writing sample, and have it proof-read and edited by your peers or by your professors. (3) Begin working on your letters of intent, and have (at least one of) them proof-read by a professor. D. December/January: (1) Finish up the applications and get them in the mail, along with your writing sample and letters of intent. (2) Make sure that your letter writers have completed and sent off your recommendations. (3) Have your transcripts mailed by the Office of the Registrar. (4) Have your GRE scores mailed. If you are extended an unfunded offer (and are still waiting to hear back from other programs), do not under any circumstances accept the unfunded offer until April 15th or after. In fact, things can get dramatically better just after April 15th, and there should be no pressure to accept an unfunded slot anywhere until well after that. C. Be conscientious. If you have accepted an offer from a school, send a (polite!) notice of this fact to all of the other schools to which you have applied. That way, they can remove you from consideration and focus their attention on those who may be awaiting word from them. The following philosophers were most helpful in their suggestions, advice, and general commentary on the content of this document: Eric Loomis, Ted Poston, Kevin Meeker, Bob Robinson, Alden Stout, Neil Manson, Jason Shepard, Kamper Floyd, Kevin Sharpe, Justin Litaker and Chris Pincock.